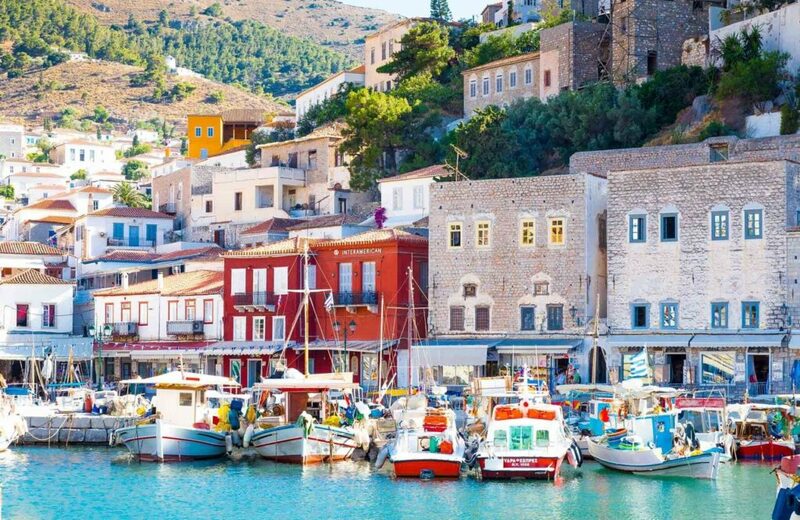 How does a trip to one of Greece’s most beautiful islands only an hour from Athens, sound to you? Hydra is a perfect escape from the city, making it an ideal day trip, where you can hike along the coast (head to the Profítis Ilías monastery at the top of the hill) or just have a day lying by the pristine beaches. 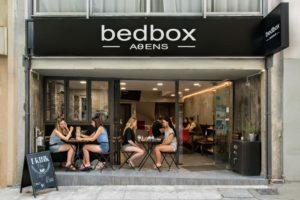 Just an hour trip from Piraeus port on the hydrofoil, this wonderful island is definitely a place worth spending more time at, and was once home to musician Leonard Cohen and many other artists, who fell head over heels for this captivating isle. 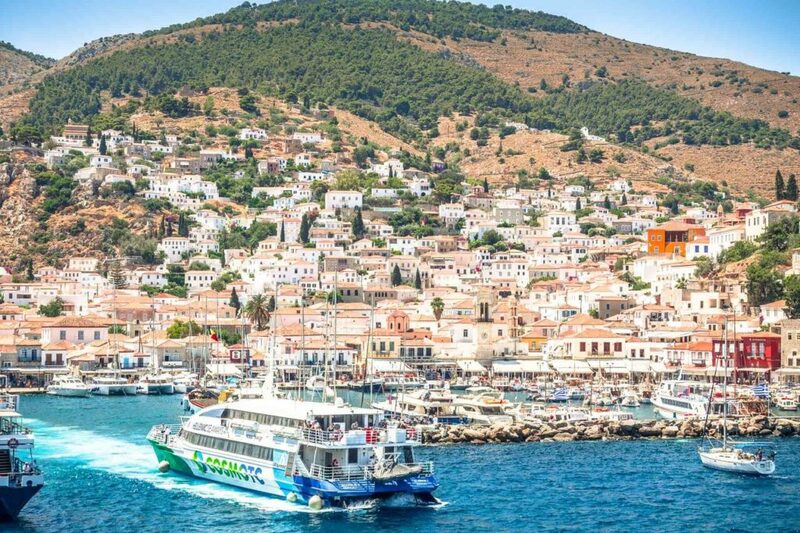 Widely known as one of the most beautiful islands in Greece, Hydra makes up part of the Saronic Islands and is only one hour with the hydrofoil or two hours by ferry from Piraeus. Its most famous for its fine architecture, pebbly beaches and its captivating character. One of the greatest parts of this stunning little paradise is that there are no cars allowed on the island, aside from garbage trucks and ambulances. 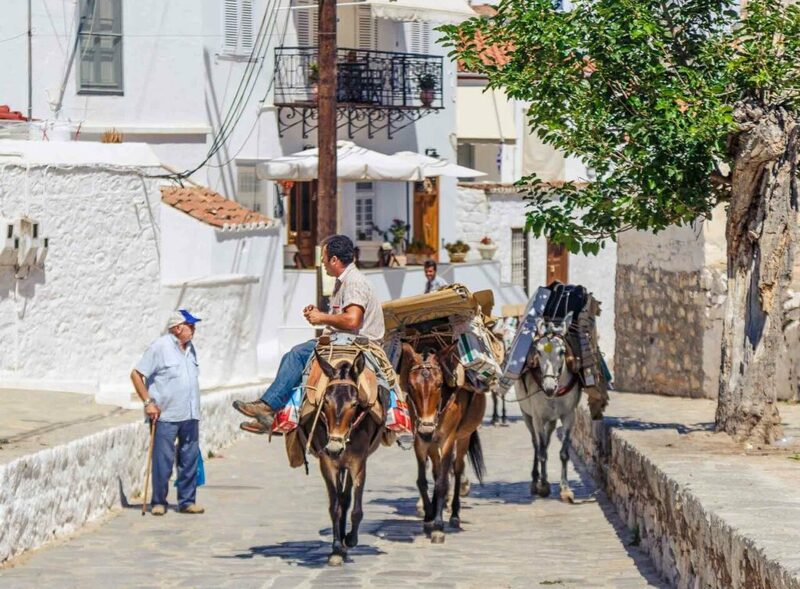 The main method of transportation here is mules and donkeys, as well as water taxis. 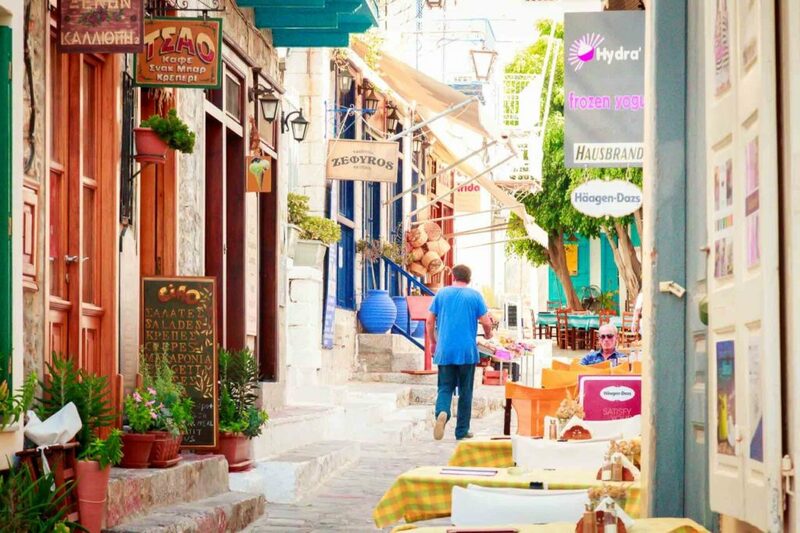 Its natural beauty and fascinating history began in the 18th century when Hydra was prosperous because of its commercial fleet which traded to countries like Spain, France, and America. The island also played a major role in the 1821 War of Independence, contributing a significant amount of ships and resources in the fight against the Ottoman Empire; their fleets were powerful and took part in crucial sea battles. 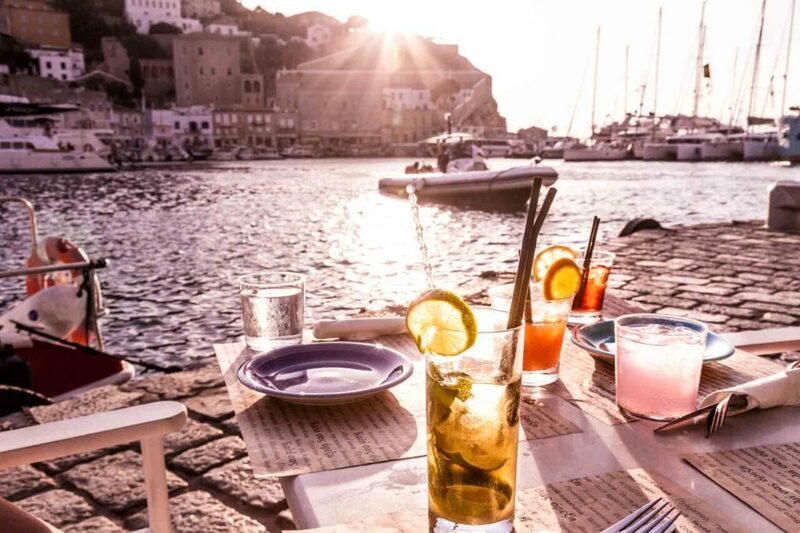 Today, it prospers due to its natural beauty and charm, which has won over local Greeks and international visitors alike, including celebrities, fashion designers, artists, photographers and writers. With 300 churches and six monasteries throughout the island, plus so many gorgeous beaches, fabulous taverns and hiking trips, there are definitely plenty of places to see and be seen. Hydra’s main cathedral is located in the centre of the harbor underneath the clock tower. It was said to have been built by a nun on her arrival in 1643 and consists of a magnificent Byzantine-style cathedral. Founded in 1918, the Historical Archives Museum displays artefacts and rare documents related to the historical, traditional and cultural aspects of the island from 1708 –1865. Within the museum is an Archive and Museum Section and a library. Kountouriotis museum is dedicated to Lazaros Koundouriotis, who played a vital role in the War of Independence. It was built in 1780 and features beautiful interiors and paintings by Greek artists. Ecclesiastical Museum located on the west side of the Monastery and housed in a former monk cell. Some of the must visit beaches include Vlychos, a lovely, pebbled beach in the picturesque town of the same name, just 2km west of Hydra Town, Kaminia, 1km west of Hydra Town and near the village of Vlihos, Kaminia’s shallow waters make this pebbled beach ideal for families and children, Spilia is a rocky “beach” with translucent blue waters and Agios Nikolaos, which is a remote and beautiful sandy beach. 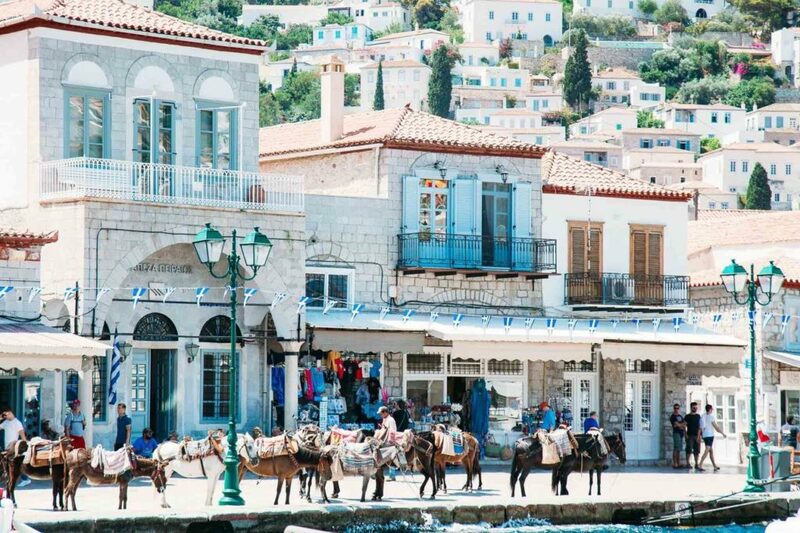 No visit to Hydra is complete until you’ve taken a trip out in a boat as the island is only 50 kilometres square and is spectacular when seen from the water. Whichever way you turn, it really is captivating!